My favourite thing about summer fashion has got to be the 'going out' clothes. Summer is filled with weddings, parties, BBQs, events and summer evenings out, and I just can't resist all the pretty dresses and cute heels that go along with it. As much as I love autumnal fashion, the 'going out' clothes you get to wear in the summer are always so much prettier - brights, pastels, coral hues and gold tones - all of which look amazing with a summer tan. 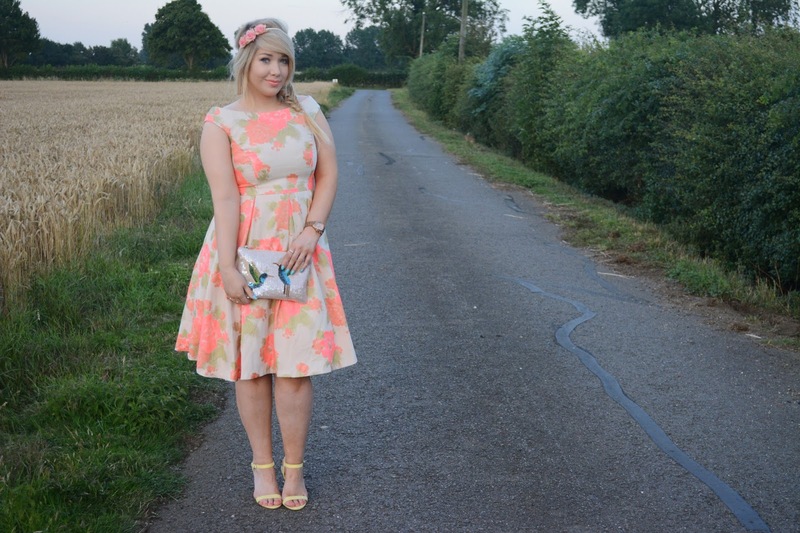 I was recently contacted by F&F at Tesco to put together an 'occasionwear' outfit for summer, and after hours of trawling through all their amazing clothes, I decided to go for this gorgeous floral dress. I love everything about it - the peachy corals look incredible with a tan and scream summer to me. The bardot neckline is so flattering, as is the A-line skirt. It's so comfortable on too and I feel really confident wearing it. 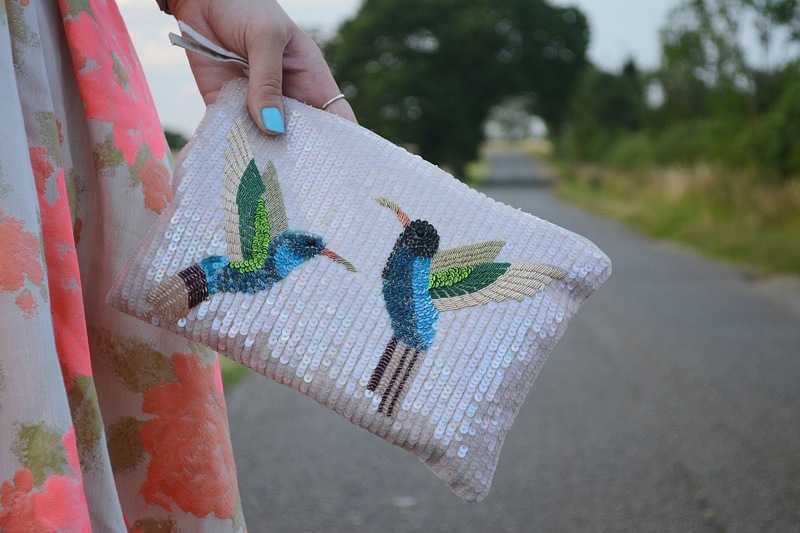 I paired the dress with some simple yellow heels, which I think complement it really well, and the most gorgeous sequin clutch bag with some sweet little hummingbirds on it which I think finishes the outfit off beautifully. 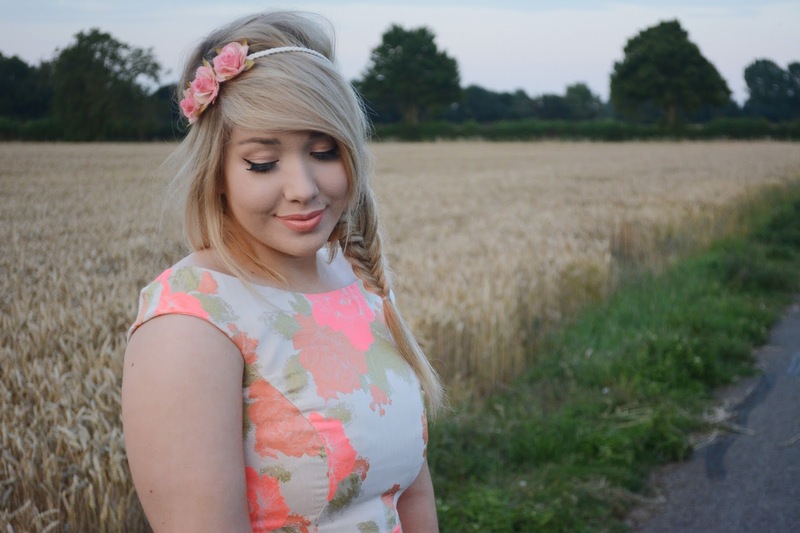 I love how well everything works together and I think this would make the perfect wedding outfit! 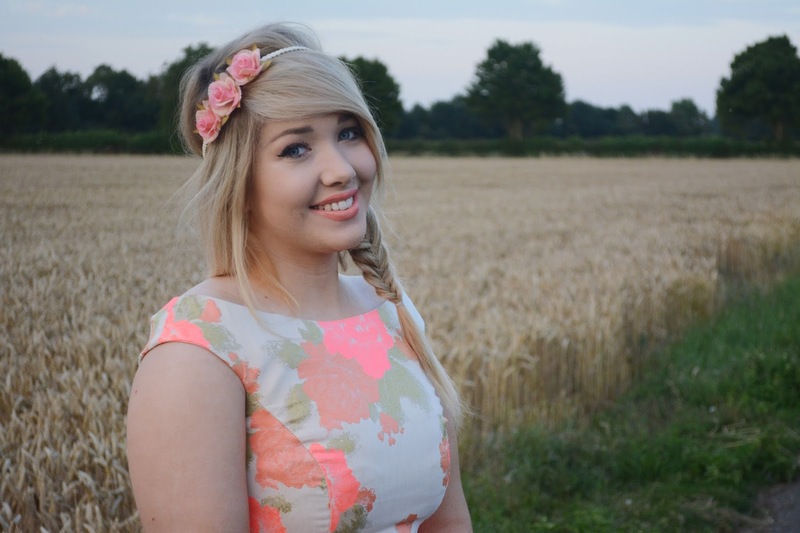 Do you love dressing up over the summer months too? Let me know what you think to my outfit!